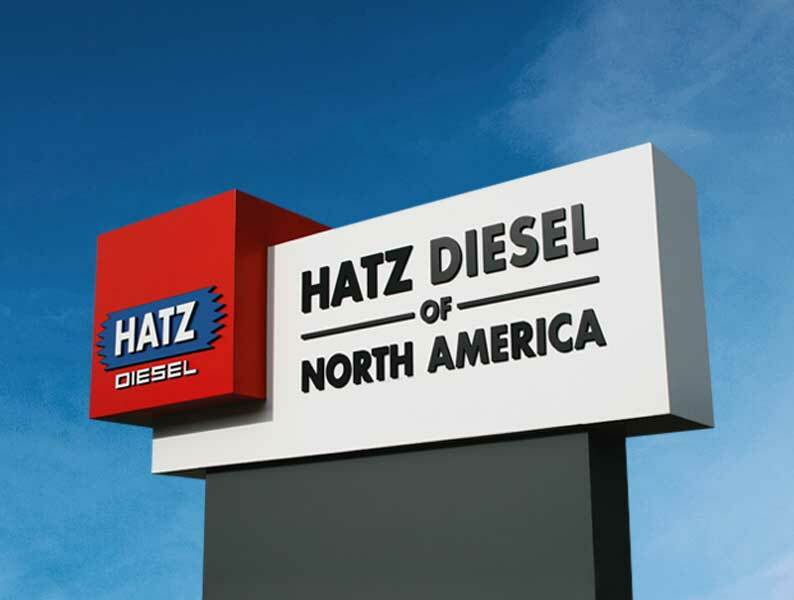 A Fresh Face For Hatz | Hatz Diesel of North America, Inc. But when Hatz Diesel of America recently made the subtle change to Hatz Diesel of North America, it not only provided a more accurate representation of what territory the company covers, but also signaled a period of change at the Waukesha, Wis.-based subsidiary of German diesel engine manufacturer Motorenfabrik Hatz. “When we were first founded, our responsibility was just for the United States, so the names Hatz Diesel of America really made sense,” said Mike Hartoonian, president and CEO of Hatz Diesel of North America. “But since then, the scope of what we do and our territory has evolved to include Canada and Mexico, Puerto Rico and the U.S. territories – basically all of North America. Beyond the new name, Hatz Diesel of North America has invested in a significant remodel of its Waukesha headquarters and renewal of its website. And in a way, all of that was spurred by the launch of its H50 liquid-cooled diesel engine line. Originally debuting at bauma in 2013, the H50 (right) has been the company’s most effective move into liquid-cooled engines, starting with four-cylinder platforms initially and then adding three-cylinder products later. Both three- and four-cylinder versions are available in Tier 4 final and Stage 5 configurations. “That’s definitely been a game-changer for us,” Hartoonian said. “We’d always been known primarily as a supplier of air-cooled engines and we’ve done that very well for many years. “But in a way, the advent of the liquid-cooled engines has allowed us to reintroduce the Hatz brand and who we are. People are noticing Hatz like they haven’t in the past and we’re seeing that anecdotally and in our results.